Lets be honest, how many of us roll our eyes and think of lettuce leaves when you hear the term “plant based”. I must admit, I too have often found myself doing this but last month I was treated to a plant based feast and it has completely changed my outlook on food. You all know I am a meat eater, but would you believe me if I told you that you can create your favourite meat dishes without using any meat? 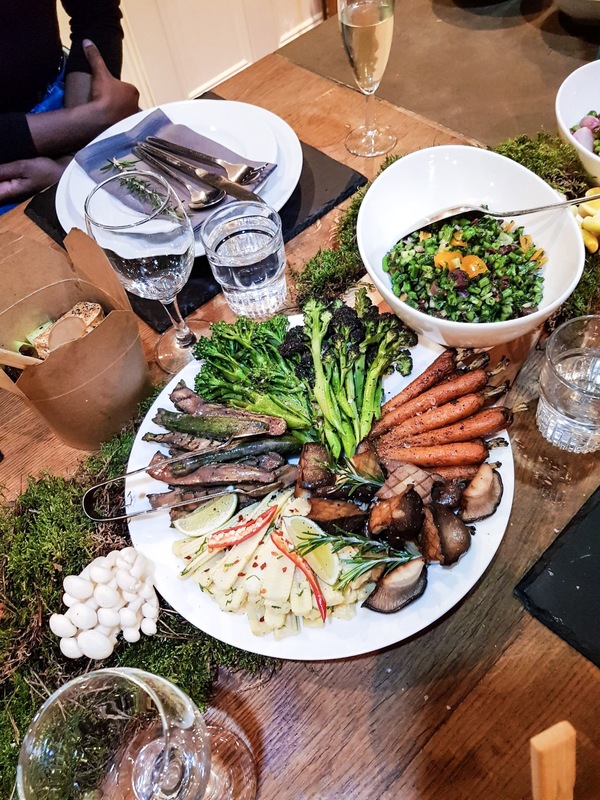 I was invited to a dinner with Tesco and Derek Sarno who have partnered together to create Wicked Kitchen, which launches in Tesco across the UK on 8th January. Wicked Kitchen was created to help make the meat free meals become the easiest choice. They’ve developed a whole range of dishes, from Pizza’s to wraps and even dessert to help you feel good, without feeling like you’re missing out on your favourite food. Derek prides himself on creating tasty plant based alternatives to meat dishes, so I was both excited and curious to try out his creations. I absolutely adore cooking. I come from a Caribbean family that loves to use spices and flavours to create a storm. But, unfortunately I am unable to dedicate as much time as I would like to cooking and this has prevented me from developing my own signature cooking style. When I get home in the evening I have usually come straight from the gym and all I want to do is eat! I usually just whip together something healthy and wholesome but I don’t really pay too much attention to flavours and ingredients used. 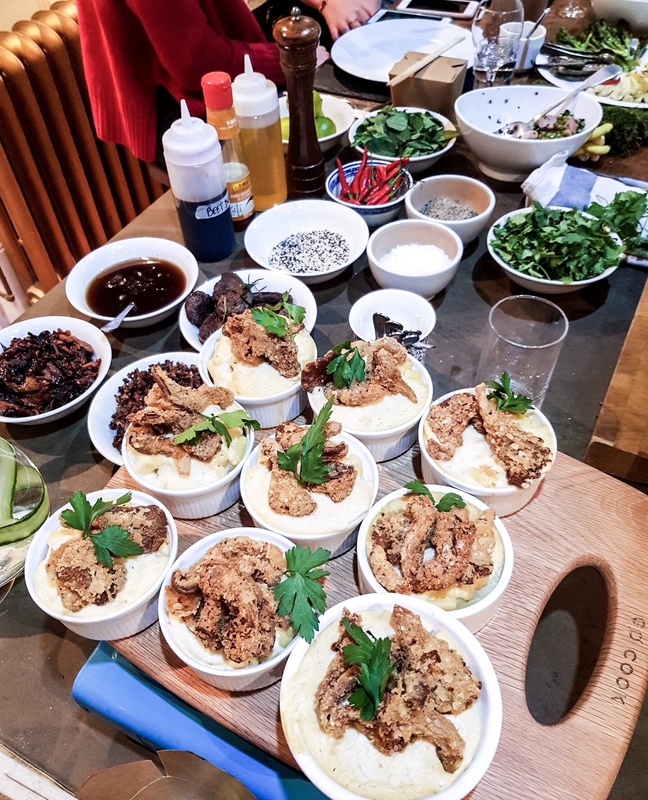 So I guess you can understand why I was excited to be eating food prepared by the hands of someone who understands fusion flavours and how unlikely foods can come together to create the perfect harmony. My favourite dish from the had to be the fried chicken without the chicken. Of course it didn’t taste like chicken but the texture and the flavours used were spot on. 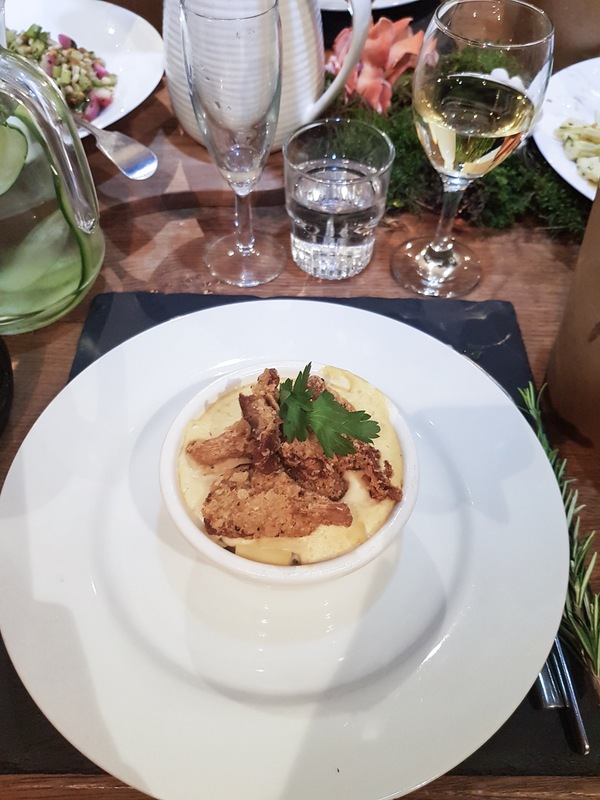 Derek had simply fried mushrooms to create the chicken and made a creamy mash, without the cream, to accompany it. Derek wasn’t trying to make the mushrooms taste like chicken either he was just trying to make the mushrooms taste like good mushrooms. By swapping the chicken for mushrooms, Derek proved that the reason why fried chicken tastes good isn’t necessarily because of the chicken. It’s because of the delicious flavours used to make the fried chicken, or in this case fried mushrooms. 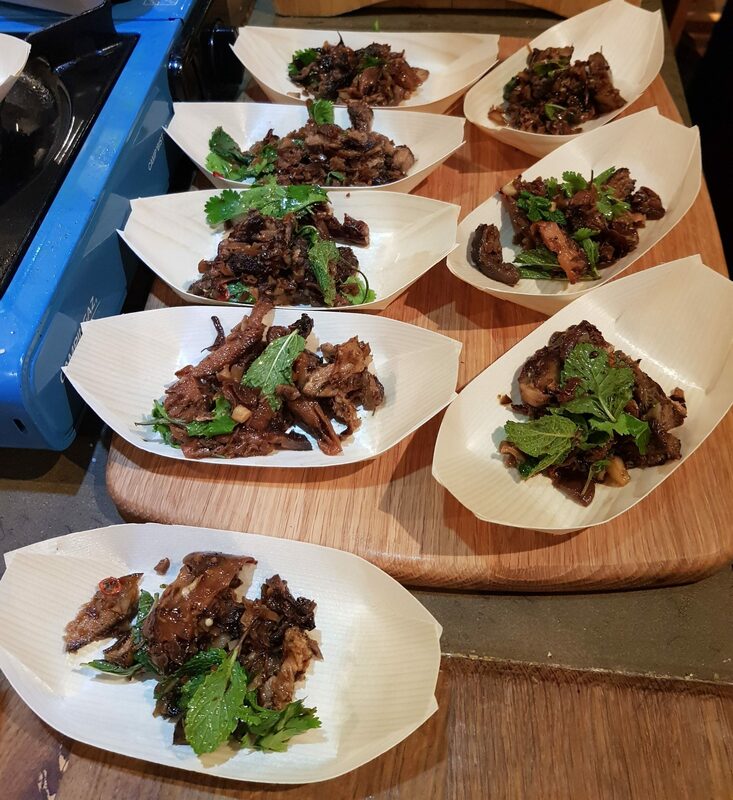 Mushrooms were used in every dish and they were shredded to create a pulled pork effect and even turned into steaks to resemble the look and feel of a traditional beef steak. The mushroom beef steaks had been slow cooked for hours which gave it that tough but tender steak like texture. And let’s not forget about the mushroom scallops! These were another favourite of mine. What I enjoyed the most about spending the evening with Wicked Kitchen and Tesco is that Derek’s passion for food was clearly visible. He loves food and wants others to love it as much as he does, whilst taking care of their body and looking after the environment too. Over the past few years my meat consumption has more or less halved and although I will probably always be a meat eater, I now understand more about how to make plant based dishes taste exciting. I don’t know why so many of us, myself included, think a meal isn’t complete without a piece of meat. The Wicked Kitchen dishes are completely meat free but when I was eating them, I didn’t once think “this would be better if it came with a side of chicken”. The Wicked Kitchen range includes everyones favourite dishes and you’ll be pleased to know that there isn’t a limp lettuce leaf in sight! Derek and his team have given ready made meals atasty new makeover. My favourites dish so far is the Pizza and I’m not even a big pizza fan! I also love the beetroot wraps, they’re creamy and full of flavour and can be found in Tesco across the UK. I am looking forward to spending some time this year experimenting in the kitchen with more plant based meals and trying out the full Wicked Kitchen Range. You can shop the Wicked Kitchen range here. This post was a sponsored collaboration with Tesco but all views and words are my own.